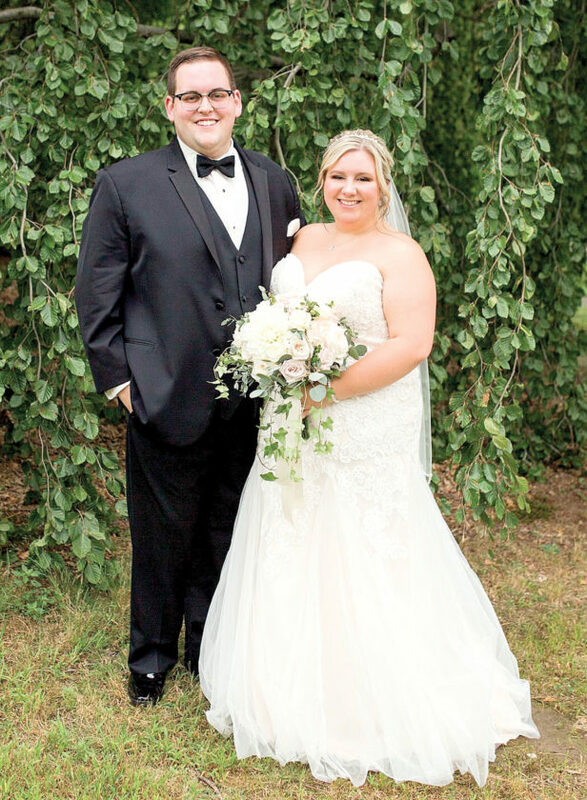 EAST LIVERPOOL — Miss Brittany Marie Conkle and Mr. Andrew Jameson Arcuragi were united in marriage Saturday, Sept. 1, 2018 in East Liverpool. The ceremony was performed by Father Peter Haladej at Holy Trinity Catholic Parish. The readings were performed by bridesmaid and friend of the bride and groom, Meredith Bobalik. Together with their parents, the bride and groom hosted a cocktail hour and reception at Stambaugh Auditorium in Youngstown. On the eve of the wedding, the groom’s parents hosted a rehearsal dinner at Casa de Emmanuel in East Liverpool. 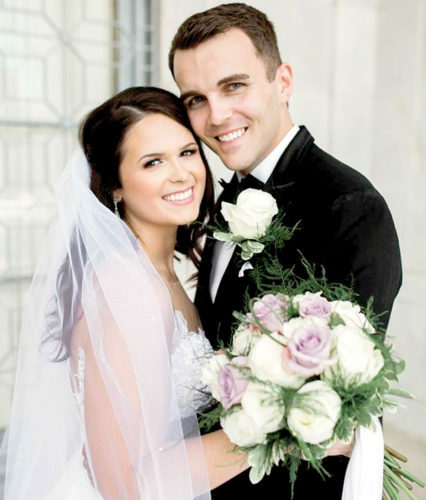 The bride is a 2013 graduate of East Liverpool High School and 2017 graduate of Kent State University with a Bachelor of Arts. She is employed as a interior designer at Franklin Interiors in Pittsburgh, Pa.
She is the daughter of Mr. and Mrs. Robert Conkle of East Liverpool and the granddaughter of the late Mr. William and Peggy Johnson and Mr. Robert Conkle and Ms. Louise Zoellers. The groom is a 2013 graduate of East Liverpool High School and a 2017 graduate of Kent State University with a Bachelor of Science in Nursing. He is currently employed as a psychiatric nurse at Heritage Valley Hospital in Beaver, Pa. He is the son of Mr. James Arcuragi and Mrs. Traci Arcuragi of East Liverpool, the grandson of Ms. Martha Andrews of East Liverpool, and the late James and Vivian Arcuragi and Floyd Andrews. Mrs. Aubrey Garman of Atlanta, Ga., and Mrs. Jordan Behanna of East Liverpool, friends of the bride, served as Matrons of Honor. Bridesmaids included Laura Montemagno, Brooke Shotter, Meredith Bobalik, and Sarah Morrell. The flower girl was Gianna Garman. Mr. Gregory Andrews and Mr. Dylan Davis of East Liverpool served as Best Men. Groomsmen included Jeremy Garman, Brandon Russell, Justin Behanna, and Jon DeFilippo. The ring bearer was Luca Garman, godson of the groom. Following a honeymoon in Hilton Head Island, the couple will reside in East Liverpool.